Subscribe to Frog Blog through google reader. Core purpose of the Wildcreations.com company is a belief in the, "Health Of Our Planet And Its Inhabitants Depends On Clean Air, Clean Water, And Clean Food". Wild Creations has resources for teachers to teach kids about ecosystems. I wonder if they have a discount for ordering kits for an entire class. I like the follow gorilla. It's fun and creepy. I love the new RC Rattlesnake. The Cracking Alarm Clock looks interesting. i like the solar airship! I can't seem to find the New for Fall section, but the Science Putty looks like a blast! Giant tarantula and roach is a best seller on Wild Creations. I love the idea of the jellyfish. I'll bet they are absolutely mesmerizing. I like the electronic chess. Thanks for the chance. Now a Facebook fan of Wild Creations. Wild Creations is going to have Black Friday specials for FB fans. The remote control cockroach looks like a ton of fun. The R/C rattlesnake is a new product my son would love. The Lampquarium won an award from parenting magazine as one of the best gifts for tweens. Like you, I'm completely suprised and intrigued by the fact that they send live frogs. I like the jewel eco aquarium. Wild Creations is growing fast and going global. They recently opened an office in China! They have a solar airship! My son would love the lampquarium, he just came home from school with a paper saying he would like to be a jellyfish! I like the Cracking Contraptions Alarm Clock. I like the Jellyfish Lampquarium. It's an interesting alternative to the Lava Lamp. The cracking alarm clock looks awesome! What a cool company. Thanks! I like the crystal growing trees. Wild Creations sells Wallace and Grommit Toys! I love the alarm. The EcoAquarium has won multiple toy awards. I love the new Hologram chamber! I'm a fan of Wild Creations on Facebook! I follow your blog through NetworkedBlogs. I follow (sassyfrazz) and am a fan of yours on Facebook (I am Leanne Valeriano). I also like the Water Rocket. Looks like fun. My daughter would love the "Activity Kit Fluorescence"
The Solar Airship is being introduced. The Keystone Classic EcoAquarium was introduced around Oct. 7th according to their blog! I've subscribed to the Frog Blog! The Keystone eco aquarium was introduced this fall! The Classic EcoAquarium All in one Kit looks great...my sons would love that one. Wild Creations has free articles for teachers to use and distribute. Awesome. Classic EcoAquarium All in One Kit is something else we would like. In the frog blog I found an October 2010 link to new products. It lead me to 9 really cool items. Of those, I think I liked the Pocket Microscope the best. I really like the Natural History Pocket Microscope. My kids would love it. I think that jelly fish Lampquarium is one of the coolest things I have seen in awhile. Reminds me of the old time lava lamps. I would love to get the Pocket Microscope for my kids.Thanks! My son loves kites....so that Solar Airship would be great!!! Looks really cool. The solar airship is new. My son would absolutely love the remote control rattlesnake! How Cool! 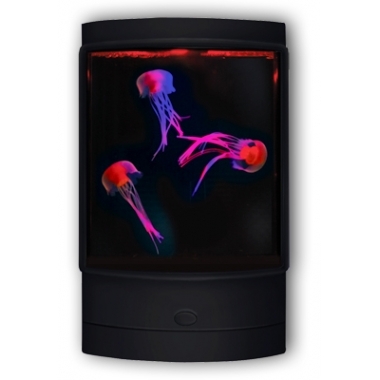 The Jellyfish Lampquarium is new for the fall, but I'd love the rc rattlesnake for my nephew's birthday. I like the Following Gorilla. My son would go crazy for the water rocket. Wild creations has so many amazing toys that you just can't find anywhere else. My kids would love the Keystone Classic EcoAquarium!! The jellyfish in the the Lampquarium look so cool. I'm a fan of Wild Creations on Facebook. I like the Lampquarium from Wild Creations. I love the Jellyfish Lampquarium, the RC rattlesnake is awesome too! Thanks! I like the RC rattlesnake toy. Subscribed to their YouTube channel. The Cracking Contraptions Alarm Clock looks cool. I would love to get this for my son...he is smarter than I think. I checked out their fall products and one thing they are introducing is their Retro Space Hopper...my personal faves are the RC Rattlesnake and the Jellyfish Lampquarium :D Great stuff! they tin puzzles are really cool too. The new one that rather jumps out at you is the RC Rattlesnake. I think the RC Rattlesnake is so cool and very funny! The giant retro space hopper reminds me of a toy I had as a girl. I subscribe to thier frog blog. I subscribe to their youtube channel as degood. The Solar Airship is extremely large and extremely cool! I like the RC Rattlesnake. I like wild creations on facebook! The Ice Age Excavation Kit Cave Bear was introduce in Fall 2010! Thanks for the giveaway, these look like great products! I subscribe via google reader, thanks! I love the Tandem Space Hopper. I LOVE the Rattlesnake! Very cool! I was checking out the hologram chamber on the website. It's priced so reasonably, under $10. It makes objects appear to hover using a reflection. My kids would be totally entertained by this, so would I.